Wear and tear is a feature of every materialistic thing, and your roof is no exception. After withstanding a lot of harsh weather for a long time, if you see that your roof is unable to protect your interior, you can’t blame it, right? After installation, repairs or a replacement, you will have a lot of waste from the roofing materials. You can’t store it on your property; it isn’t practical after all. You can get rid of the problem by putting the materials in the right place, if you get the right dumpster according to your requirements. Contact us for a dumpster rental in OKC for guidance on it. First, determine the kind of shingles on the roof. They will be one of the most prominent items of debris after the roofing project. It is important to know the type of shingles because of their weight. The type of dumpster rental service in OKC will then be decided accordingly. Standard shingles are three-tab shingles, which is a lighter option than architectural shingles. If the home is old, and you are not quite sure about the materials, you can ask a professional about the estimated weight of the waste. In roofing, the term ‘square’ is referring to a square foot measurement. A 20 square means 2,000 sq-ft of area; each square means 100 sq-ft. Three bundles will likely provide enough shingles to cover 100 sq-ft (one square) and each bundle weighs around 60 to 80 pounds. Therefore, having an 2,000 sq-ft roof means you will approximately have 4,000 pounds of junk to put in the dumpster, just in shingles! There can be other materials to consider as well including copper, slate, fiberglass, wood shingles, concrete tile, clay tile, aluminum and more. 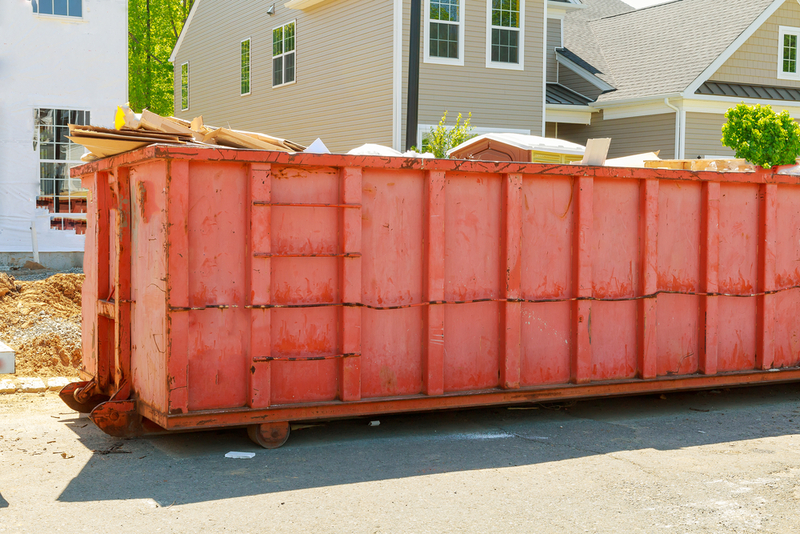 After taking all of this into account, you will need to call a dumpster rental service in OKC for the right unit to dispose and carry off the roofing waste. The smallest unit offered by dumpster rental companies in OKC is 6 yards (2 by 3 ovens of dumpster space), which can hold 3000 pounds of junk. The dumpsters can be as large as 10 to 30 yards. As per your requirements, you can ask the companies to provide you with a dump disposal system. We, On Call Junk Haul, are always at your service for dumpster disposal and to carry off the waste without any hassle.